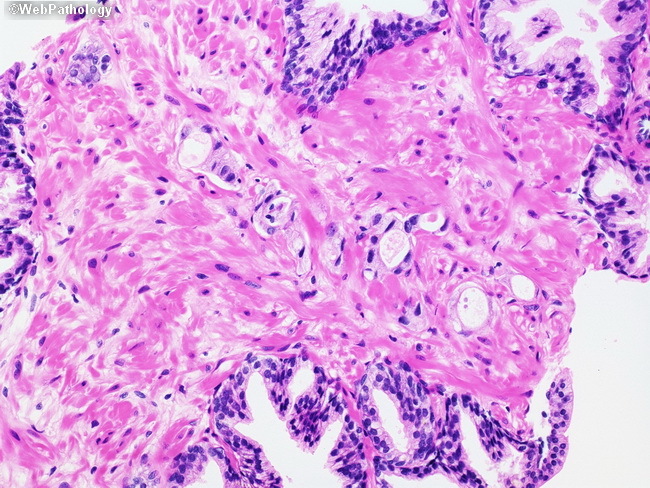 The image shows a minimally diagnostic of focus of prostate cancer in a needle biopsy. Everyone's threshold is different in diagnosing limited cancer and even experienced pathologists may disagree in some borderline cases. It is important to at least recognize such areas as highly suspicious for cancer and perform additional studies (deeper levels, immunohistochemistry, outside consultation etc.) as appropriate.